Published on January 17, 2012 August 20, 2012 by cara.b.b. 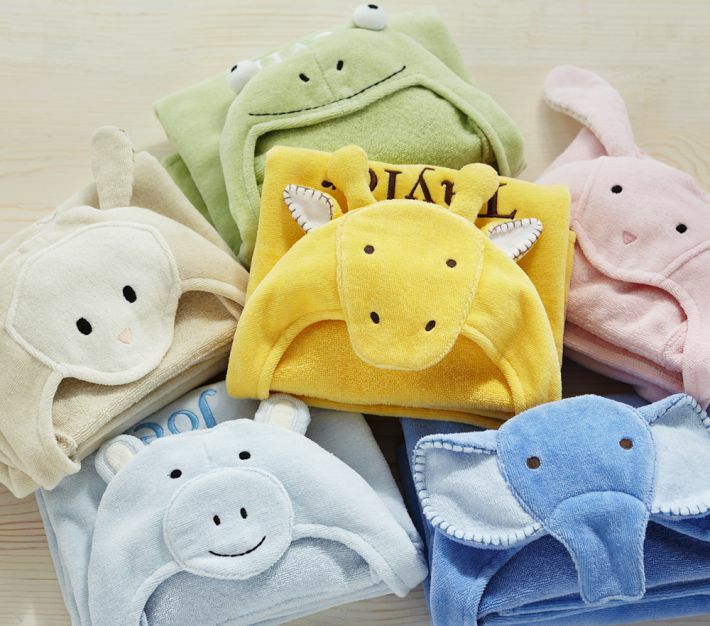 since i have babies on the brain, and i have a ton of friends who are either pregnant or thinking about it, i thought i’d share some of my very favorite baby items. but before we get to that, a little side note. i think there might have been a little confusion about the picture of jared and me in my last post. that is not me right now. that is when i was 9 months pregnant with b – i mean, he came out 14 days later. if i looked that way right now, i would be scared that i’m gestating an elephant. ok, on to the baby stuff. a fair warning that this is a little long. 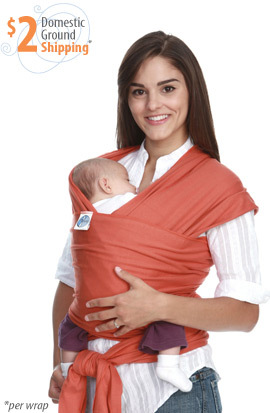 moby wrap – i think this wrap is perfect for the tee tiny baby. it is super soft and holds that sweet baby so close. i am a huge fan of baby-carrying. i loved having beckett so close to me, particularly when he was brand new. i would like to recommend black since it will disguise a complete blowout diaper, as i experienced while standing in the middle of the bloch building of the nelson-atkins museum. ergobaby carrier – i love, love, love this carrier for the bigger baby – maybe 6m and up? you can use it as a front pack, on the hip, or a backpack. i was still using this with beckett as recently as this spring. 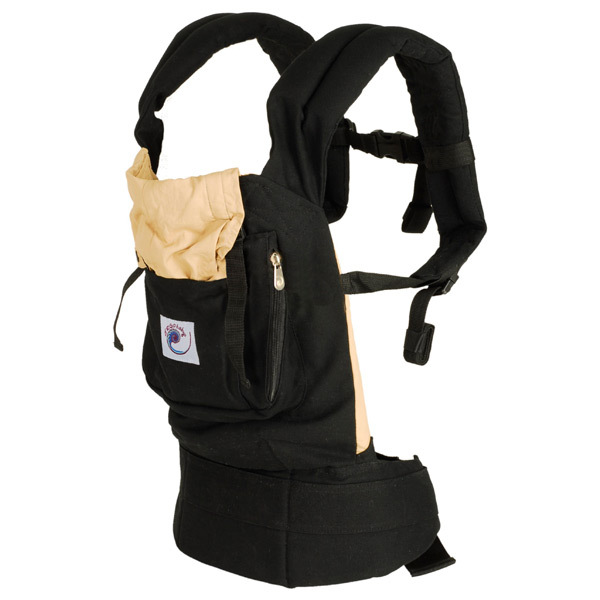 unlike a lot of carriers, it has great shoulder padding and has a strap for your hips to help distribute your kiddo’s weight. it is super comfortable, even for long periods of time. it’s also great for traveling through airports instead of hauling a huge stroller (unless you’ll need one on the other end). their website says you can use this with a child up to 45 pounds, but if your kid is that heavy, i say they need to be using their own two feet. 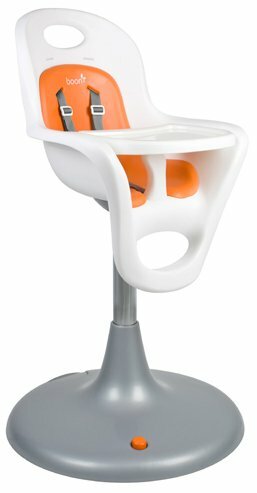 boon highchair – this highchair is a bit on the pricey side, but we decided if we were going to have to look at it every day, we wanted it to look cool. kind of vain, right? well, it has actually turned out to be great. this puppy is super easy to wipe down, and the seat is right at miller-height so he can lick out everything beckett’s mouth missed – hey, i’m just bein’ real. we actually ended up taking out the orange cushion all-together to make it even easier to clean. the one downside is that the tray is a little small in comparison to other chairs out there, but i would still buy it again. 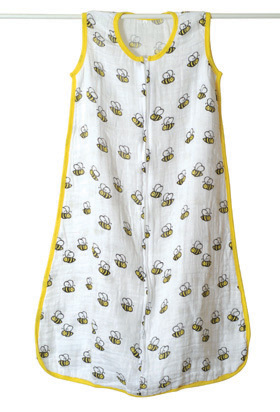 aden & anais swaddling blankets – pretty much every mama i know has one or ten of these. 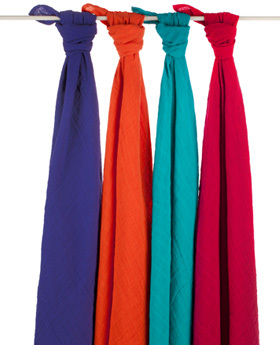 they are the perfect lightweight blanket for swaddling, laying baby on the floor, or using as a nursing cover. now that b is older, it has morphed into a security blanket, and beckett sleeps with three…of course. 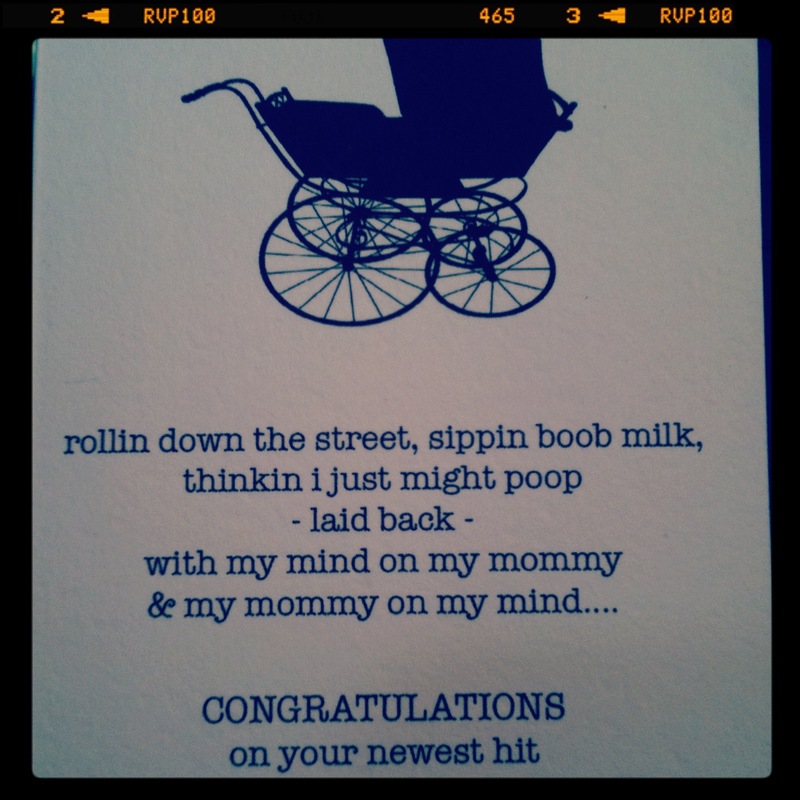 these are a great gift if you know of any parents-to-be. i’m adding this bright collection to my own wish list. 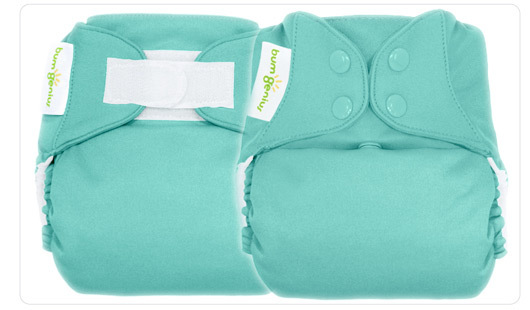 bumgenius cloth diapers – cloth diapering isn’t for everyone, and i definitely had to talk jared into this one. the main reason we did this is that we saw how much trash we were producing, just with diapers – it was amazing, and not in a good way. it has been so much easier than we could have ever expected, and we are so happy that we took this route. i recommend the snaps as opposed to the velcro option. ours have been washed hundreds of times and they still look brand new. i’ve heard that the velcro doesn’t wear quite as well. pottery barn hooded towels – these are so soft, and the characters are darling. another great gift idea. sleep sack – once baby is done with swaddling, but too little to throw a blanket on them, the sleep sack is a great transition. it keeps them cozy, but they can’t get tangled up – genius. and this card that i recently received from a great friend, is amazing. it’s definitely going in a frame for the new baby’s room. so what are your favorite baby items? anything new out there that i need to add to my must-have list? Ok so I love checking out your blog! If only I had your motivation to start one I’d be all over it, but unfortunately I have yet to get there :) I’ll live vicariously through you for the time being, ha! I wish I had all the resources I do now for my son, Welles, as I did for my daughter Rowen when she was first born, bc I feel like I missed out on so many great things. Christine has really introduced me to a lot of great products and I have become very loyal to certain brands and products and I wanted to share them with you. You may have already heard of a lot of these things, but just in case I’ll post anyway…enjoy! 4.J Crew booties-these striped booties come in boy and girl colors I believe and they’re so cute and functional…best of both worlds. I have a lot of the nature baby line they collaborated with. Good quality! 5.Land of Nod pillows-they have some great pillows right now. I got Welles the mustache one with handles on the side…it’s adorable!